We just went over 4000 site views! I'm so grateful for the comments and emails I have received and I'm honored that people have stopped in to check out our project. I just wanted to let everyone know that besides what you've already seen on this page, many changes are occurring. We had a custom logo created for our project. I love how it came out and I believe it captures the essence of what we are trying to accomplish. As many of you have mentioned, YouTube is a powerful way for the average person to tell their story. We all know that if a picture tells a thousand words, video tells a million! I've been checking out some great boat builds on YouTube like SV Seeker and Salt & Tar. They have been a great inspiration as well as an excellent teaching tool for what and what not to do when creating a video series. Because we've had so many requests, I am happy to announce that we are now in the process of shooting the initial video's for season #1, episode #1 of the Sea Dreamer Project. We will continue with this blog of course, but we hope the YouTube series will provide a deeper connection and understanding of what it takes to build a 41 foot Diesel Duck in your backyard. Right now there are only a couple of time lapse videos of the boat shed build that readers have already seen. Hopefully we'll have more to follow soon. We really enjoy hearing from our readers, so you can see along the side bar we've added a quick CONTACT form to make it easier for you connect with us. Please let us know what you think, we are always eager for feedback, advice and words of encouragement. I don't want to pressure anyone or make them feel like they are being scammed. I've worked in law enforcement for nearly 19 years and the last thing I want is for someone to feel taken advantage of. I also would not want any sponsorship donations to take away from someones discretionary funds that would otherwise go to some worthy charity. However the biggest obstacle to faster progress on this project is funding. The funding to buy lumber, plywood, epoxy and fastener's comes from our normal family budget. Just like everyone else, the families needs comes first! What's left over at the end of the month is then devoted to this crazy project. So if you would like to see more building, more progress and more blog and video posts, please consider joining our team and sponsoring us. Any level is greatly appreciated and you can sponsor as many times or as often as you like. You can find the SPONSORSHIP PayPal button just above the contact form in the side bar. Just select the amount you would like donate and click the "pay now" button. 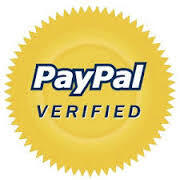 All payments will be securely processed by PayPal. I will never receive or have access to any of your financial or personal information. Merry Christmas and happy new year to all! Thanks for your continued support.